​Dr. Mondon is a graduate of Texas A&M University with multiple degrees. 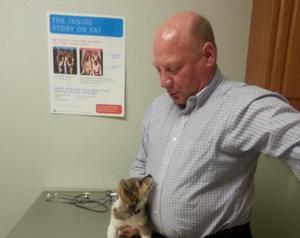 He's been practicing veterinary medicine in the Mansfield area since 1989. He is active in the Mansfield Community, enjoys sports, and spending quality time with his lovely wife and three children. Dr Mondon's oldest daughter Lindsey is currently a teacher in the school district and a graduate of Texas A&M. His twins Madison and Matthew have just graduated from Legacy High School and are attending college at Texas A& M and University of North Texas.